Iger also spoke about variable price plans for specific ESPN Plus services and about OTT entertainment spend replacing some spend in current bundles. 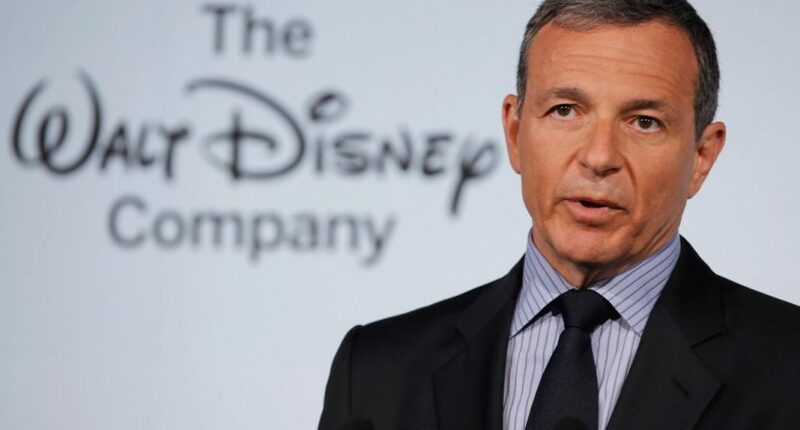 Disney has been trumpeting the forthcoming ESPN Plus over-the-top service and its importance to the company’s future plans for some time, and CEO Bob Iger provided some more insight and details into what’s coming in remarks at the Morgan Stanley Technology, Media & Telecom Conference Monday. Notably, Iger gave a more specific launch date than the “late spring” we’ve often heard, and also talked about future tiered offerings as well as the overall importance of the redesigned ESPN app (which will include free-to-all content and content free to authenticated cable/satellite subscribers as well as the OTT Plus service) to the company’s future. There’s a lot of interesting information in there, especially when it comes to options for ESPN Plus. Many have criticized the service for not having complete selections of top-tier rights at first, but it sounds like more rights are coming and more flexible packages will be offered down the road. And the launch date is notable, as that looks close to the start of the MLB season (and MLB content is expected to be a key feature of the ESPN Plus offering). For most of the network’s history, the main way to “experience ESPN” has been to flip on the TV, with their offerings in other realms seen as mostly ancillary. Iger’s suggesting that they do still want to keep and prioritize their traditional TV customers, but that the shift towards the app as the first point of contact may come sooner rather than later. Bob believes that consumers will spend the money they save on “skinny bundles” on other forms of entertainment including ESPN Plus and the Disney OTT service. Bob says Red Zone, which shows NFL highlights, probably contributed to NFL ratings declines. He says the NFL remains valuable. They looked at the Thursday Night Football package, but concluded it didn’t make sense to them. It’s logical that Disney didn’t want to go in hard for Thursday Night Football, considering what they’re already spending for Monday Night Football and considering what Fox wound up paying for that product. And the Disney deal to buy Fox assets, including the television studio, is important context there. Without a studio to develop in-house product for its broadcast network, Fox may emphasize sports more, while Disney will now have two in-house TV studios to create programming for ABC and other platforms, so there’s less incentive for them to offer broadcast sports during a weeknight primetime window. This is a worldview that’s very rosy for content companies like Disney, especially with their extended OTT strategy for both ESPN Plus and the Disney streaming service. If consumers’ entertainment spending doesn’t actually decline in the new OTT universe, companies like Disney that offer premium services in addition to their channels on streaming skinny bundles may be in a position to do even better than they did in the multichannel bundle universe. Of course, no one knows if that will actually be the case, and we really won’t know how that will relate to ESPN and Disney until these streaming services actually drop. But positioning themselves as a different service to buy in addition to Netflix rather than a Netflix rival is smart, as is not trying to be everything to everyone, but rather a service with some premium brands and in-demand content. We’ll see how it goes for Disney and Iger, but they’re definitely emphasizing these new streaming products and suggesting that they’ll be a crucial part of the future of ESPN. Just how bright that future is remains yet to be seen.